* 'tinnitus help' - eight programmes in one. Tinnitus help for iPhone & Co can only be purchased at the iTunes store, see Further links to 'tinnitus help' . 'tinnitus help' - eight programmes in one. The ultimate application for tinnitus sufferers. Only naturally produced sounds of musical instruments and sounds of Mother Nature - no synthesizers! Developed by an expert software engineer in the field of frequency analysis and a leading music psychologist, music therapist and hearing therapist with more than 20 years’ experience in the treatment of tinnitus sufferers. Used very successfully in the treatment of tinnitus. Tinnitus help contains a broad range of functions but operating it is child’s play. 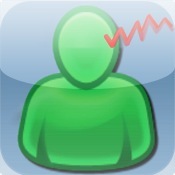 Tinnitus help: The ultimate application for tinnitus affected persons. Tinnitus help utilizes the fact that the same brain activities that enable us to perceive auditory stimuli, i.e. real sounds, also cause the perception of the tinnitus sound. Thus tinnitus help is able to intervene in central auditory processes. Tinnitus help forms an image of your individual tinnitus frequency (up to 20.000 Hz) and offers you the option to mix this frequency with pleasant sounds or music. This means that tinnitus help can assist you to change the way you perceive your tinnitus sound by letting it gradually fade into the background. Regular listening to your individual tinnitus help setting will enable you to learn how to increasingly fade out the sound in your ear and eventually ignore it. Experts call this “habituation”. Establish your individual tinnitus frequency by using the slide switch. It does not matter if it is the left or the right ear that is affected or both. Are you suffering from tinnitus sounds that rise and fall? Or cricket like sounds? Or red noise? You can mix all additional sounds to your tinnitus frequency, thereby optimizing your tinnitus profile. Choose a pleasing sound and add it to your tinnitus profile. Using this combination, you will feel your tinnitus gradually fading into the background. What you are experiencing is the effect of defocusing. You have now created your own individual, perfect tinnitus masker, which you can call up any time anywhere. Set the time on how long you want your program to run for and use your tinnitus setting as masker to help you relax and to fall asleep. Influence the activity of your auditory cortex. The area in which your tinnitus frequency is located will be especially active and, depending on how frequently and how intensely you pay attention to your tinnitus, this area will spread like an ink stain on a piece of blotting paper. However, you can restrict the growth of this area by adding one of the pieces of music on offer to your setting. The music has been especially written for tinnitus sufferers. All pieces of music are produced naturally on musical instruments; no synthesizers are used. The association “I am hearing pleasing sounds or music” will at first be stored in the hippocampus, our memory centre. If the experience is repeated by using ‘tinnitus help’, the hippocampus works like a trainer for your cerebral cortex. It will repeatedly offer the stored information to the cerebral cortex, resulting in the new input being learnt and new programs etched into the auditory cortex. Regularly recurring musical structures act like a massage on certain areas of the brain. Where tinnitus is present, this will be experienced as a negative effect. However, you can turn this to your advantage by calling up your very own personalised music in your head. Retrieve it whenever you need it, influence your perception processes and learn to set up the reprogramming of your central auditory pathway. – 80% to 90% of tinnitus patients suffer under hearing loss. The damaged hair cells cannot be regenerated, but you can improve you central hearing perception. In general the tinnitus has the same frequency as the peak in your hearing loss. So use tinnitus help to support your hearing and to stimulate and vascularise your auditory cortex. Languages: English + German + Français. At the start view of tinnitus help change the language by pressing the desired flag. This is to be done only once and in case of change. "tinnitus help - a really cool app!" See Movies about tinnitus help . A short movie about tinnitus help with Downloads in english and german. FAQ - Frequently asked questions about hearing help and the using of the app. The section offers some manuals describing the usage of tinnitus help. The documents were completely editorial revised in March 2013. Movies about tinnitus help Have a look at a movie about tinnitus help that shows some views and sounds. Operation manuals / Manuel d’utilisation This section offers some manuals describing the usage of tinnitus help. Completely editorial revision: August 2011. Some Customer Reviews for tinnitus help This section lists some customers reviews and links to them.